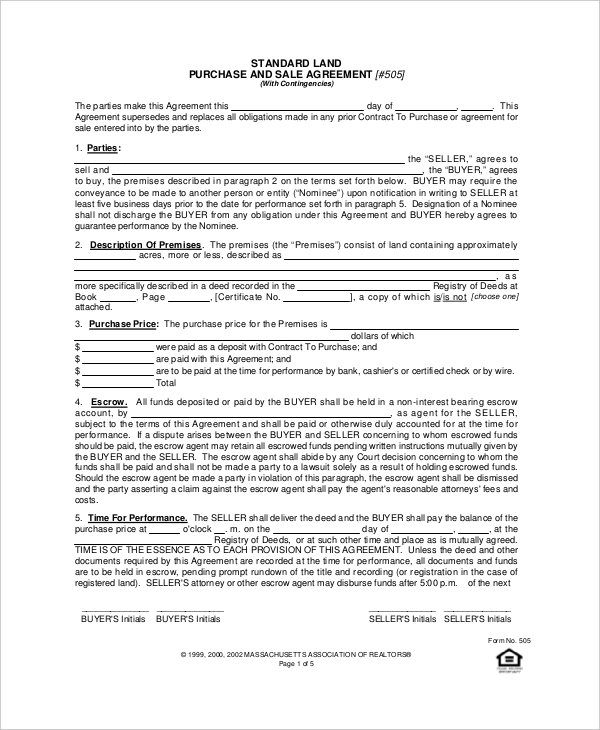 Real Estate is a booming business, so it is great to streamline the sales process by using a purchase agreement form. 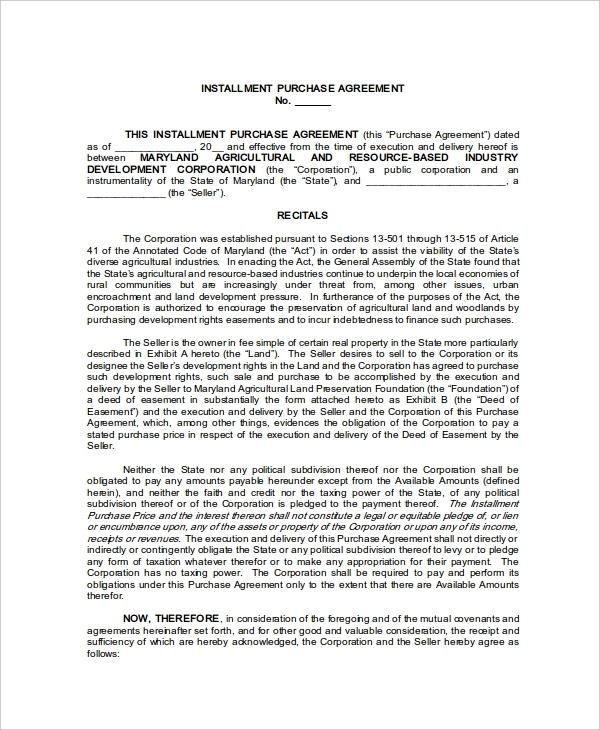 This form transfers the ownership of assets to a buyer in good faith. 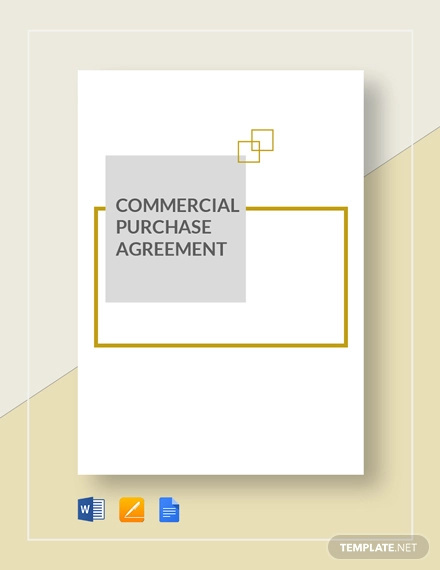 Using a business purchase agreement in your business is a good practice. You should develop a culture of communicating your selling terms before selling any items to your loyal customers. Don’t buy a car on blind faith. If things go wrong, aren’t you the one to be responsible for an illegal purchase? 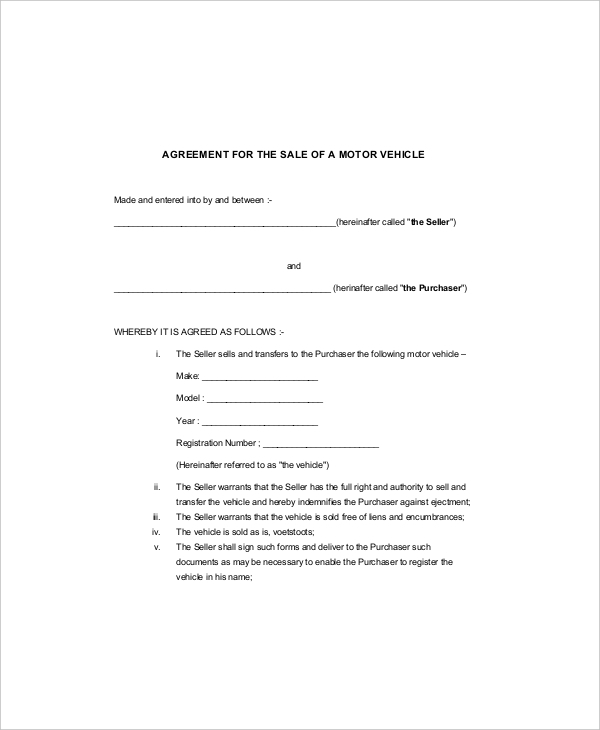 To be on the safe side, use a purchase agreement form for a vehicle. Rarely do businesses issue this form after equipment purchase. 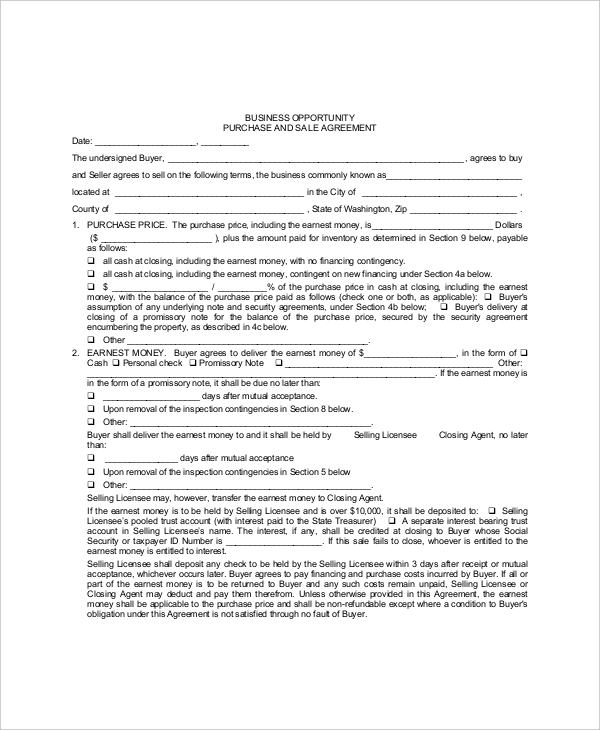 It’s important to give a customer this form, for it will act as a legal proof that they bought the item. 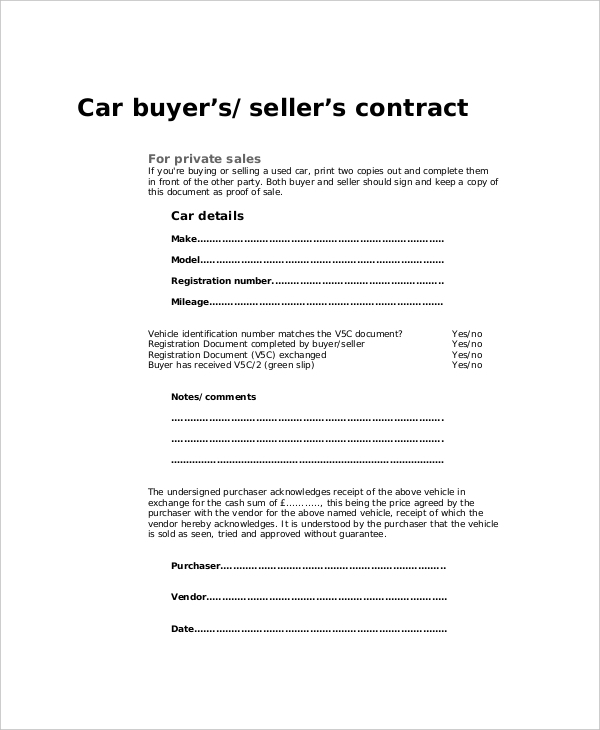 The purchase agreement should indicate the willingness to transfer the ownership rights of the car from a seller to a buyer. The terms of the accord must be friendly and easy to understand. 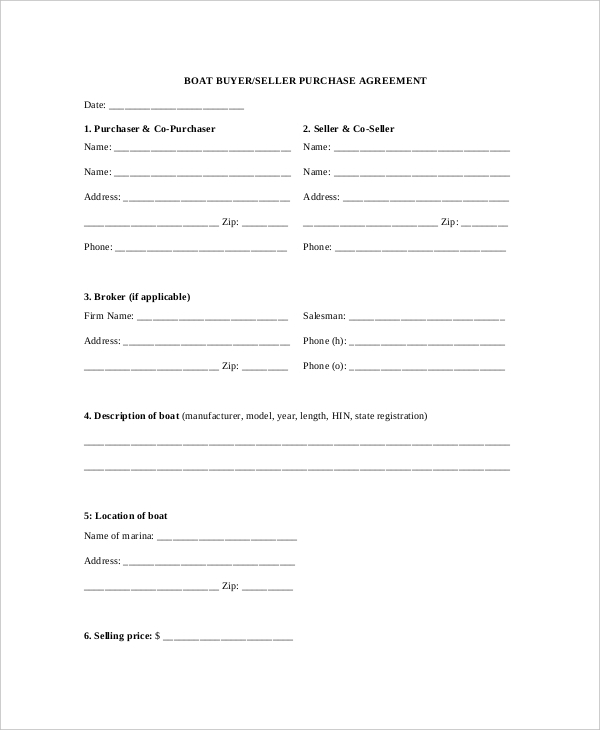 Before you make any payment to a boat seller, get the guarantee from them that the purchase is going to be legal. Ask them to fill a purchase form to act as a legal emblem of transfer of ownership of goods. Many dealers often promise deals that are too good to be true. 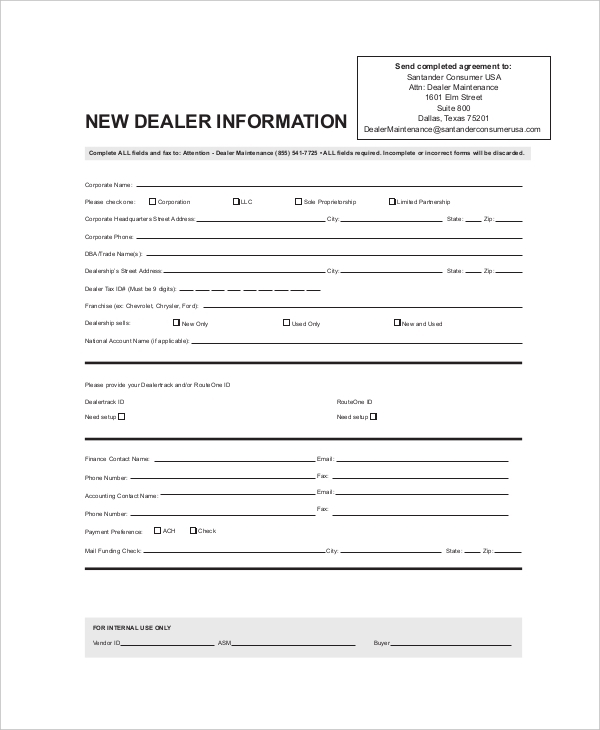 The only best way to be sure that you are buying a legal item, that you will become the legal owner of the goods after the transaction, is to have the dealer fill this form first. 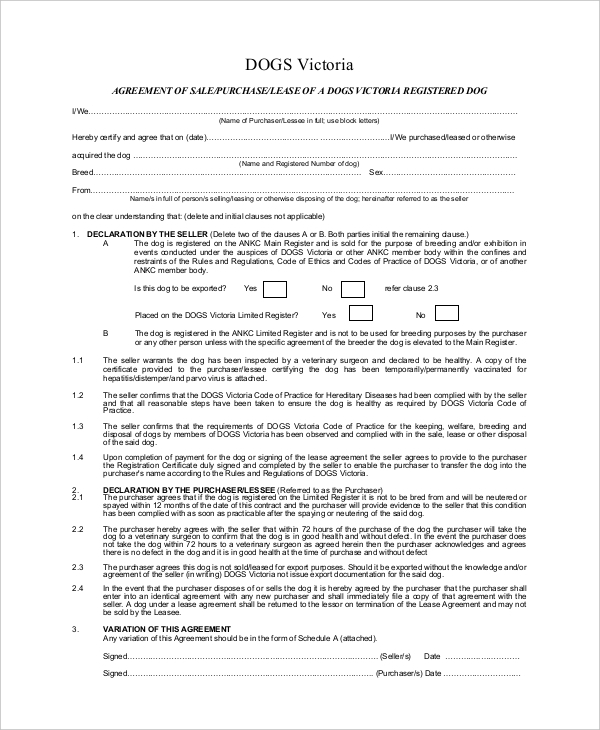 Even if you are buying a dog from your closest friend, sign a purchase agreement. 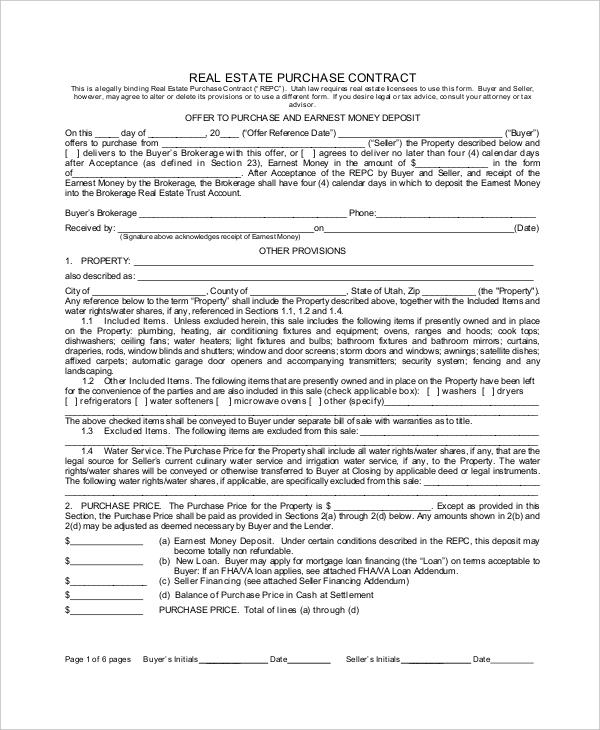 By filling this form, you are not only adding a layer of security to your transaction but also keeping a proof of the consent of the purchase. Buying goods on installment is always a reasonable investment, but how can you be sure that a seller still keeps track of the transaction history? The only best way to do that is to fill and sign an agreement form. Don’t buy land based on a verbal agreement. 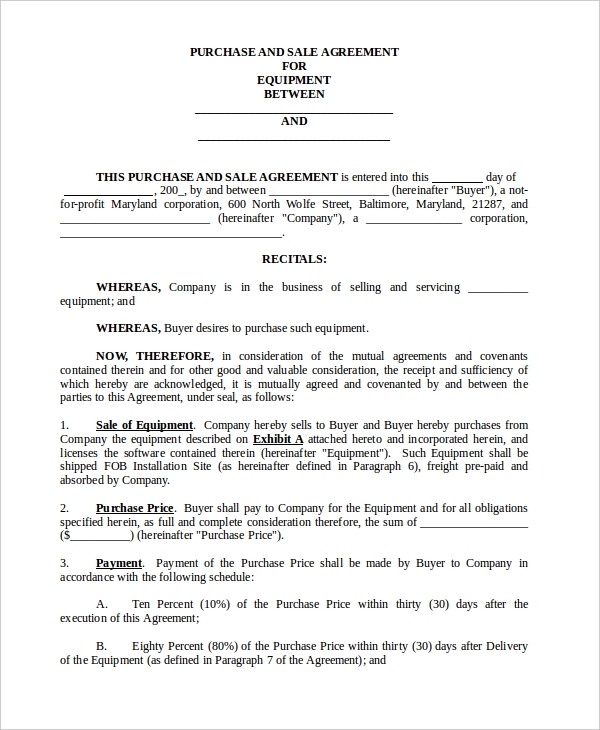 Your attorney will advise you to use this form to make the agreement legally binding. The terms of the purchase too must be agreeable; don’t buy unless you agree to the terms. What should One do Before Giving into a Purchase Agreement? Never accept a deal in blind faith; you have to be reasonable, and the best way to do that is to know whom you are dealing with in the business. Just because the agreement is in writing doesn’t mean that the dealer is loyal to the deal. Besides, do you want to handle a court case that can waste a lot of your time when it is unnecessary? Well, it is highly unlikely that you want to subject yourself into such messes. To keep your head above the water, always ask for reviews from people who have done business with your selected dealer. Why Can’t The Agreement Just be Oral? 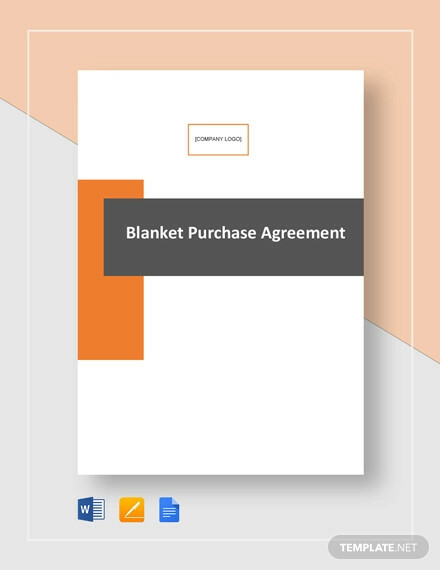 Never make a deal with a seller who wants you to sign the agreement without reading it. In fact, if the dealer isn’t giving you time to read the contract, look for alternative purchase options. Moreover, you have all the legal rights to report suspicious business matters as soon as you notice any.